For avid skiers, a big part of the sport is the actual equipment you own – meaning your skis and boots. Proper fitting equipment that matches up with your skiing style and experience level can have a huge impact. Unfortunately, even when you invest in the best quality equipment, it does have a lifespan, which means eventually you’re faced with replacing your gear. If you’re in the market for new skis and boots this year, here are a few tips that will help you with the shopping process. One trend that exists is the option to purchase brand new equipment versus used equipment. You’ll find a used version of skies, poles, boots, bindings, goggles, ski jackets and pants, and just about anything else related to skiing nowadays. Online buy and sell groups are a popular spot to find used equipment and some retail stores even carry used equipment. Obviously, when you purchase used equipment it will be more cost-effective. It could be a way to get some really high-quality pieces for a fraction of the price you’d pay if they were brand new. On the other hand, when you buy used they are just that – used. You don’t know how well cared for the equipment was, you don’t have any sort of warranty left on the product, and you don’t know how long you’ll get out of it. When you buy your equipment new, you’ll have the guarantee from the store and most likely a manufacturer’s warranty. You can also be pickier about what you want since there are so many options. As well, you’ll be getting the latest technology. A great source of information when it comes to new vs. used equipment is the SMF NEW forum. This forum is meant for ski enthusiasts of all levels to share advice, tips, and information. Another tip is to purchase equipment that fits right now. Often, people will buy ski boots that are too big or too small, and the same goes for skis. Purchasing the wrong size equipment means you won’t be as comfortable and it won’t perform as well as intended. If you plan to go out shopping for boots, make sure you are wearing the socks you plan on wearing when you ski. You should only have to wear one pair rather than bulking up on socks. It’s also a good idea to wear pants that can be rolled up over your knees, so you’ll be able to check out the fit. There are always going to be brands that are trendier than others. This doesn’t mean there is anything wrong with that “trendy” brand; it also doesn’t necessarily mean it’s the right brand for your needs. 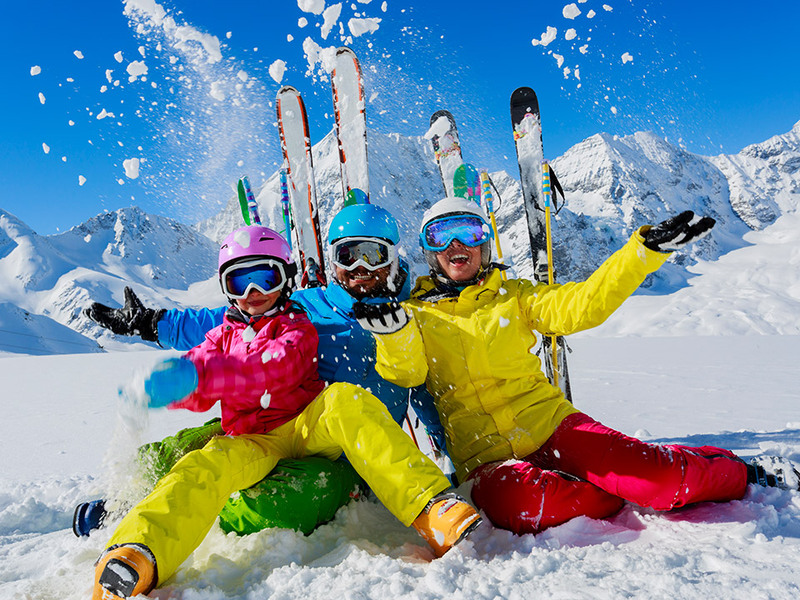 Following these tips will help you to make a sound investment in your skis and boots so that you’ll be able to get out on the slopes in reliable and proper performing gear.